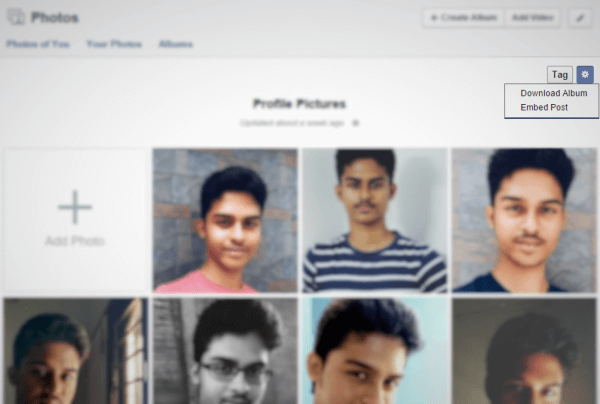 Earlier, Facebook allowed only to download photos one by one. So, if you would like to download your entire Facebook photo albums, there wasn’t default ways to do that. It can be done only through some third-party tools and extensions. But, now by default you can download your entire Facebook photo albums with just a single-click. I am not sure when Facebook introduced this feature. When I was occasionally browsing my photo albums, I discovered this feature. Head over to your Facebook photo albums and select the album which you would like to download entirely. Once you’re in the desired photo album, click on the “Gear” icon located on the right-top and select the “Download Album” option. Facebook will prompt you to confirm the action by displaying a dialog box. Select “Start Downloading” option. Once it is ready, Facebook will display a notification. Click the notification to begin the download. It may take a few minutes to prepare your download and it varies depending on the size of your album. The album is download in the .ZIP file format. The photos are numbered starting from your recent ones. Related article – Customize your account with this Facebook tips.